Understanding Eligible Meals and Entertainment Expenses? In many occasions business relationships are developed over a meal, it is worthwhile to track meal and entertainment expenses. I commonly encounter clients that significantly underutilize the allowable meals and entertainment deductions on their tax returns. For many small business owners, such deductions should constitute a substantial expense amount on their tax returns. The general rule for deducting meal and entertainment expenses is this: you can deduct up to 50% of the cost of meals and entertainment, or “an amount that is reasonable in the circumstances”—whichever is less. It is important, to understand precisely what types of foods and entertainments expense that are valid or invalid to the eyes of the Canada Revenue Agency (CRA). You must be able to explain how the expense was incurred in the course for your business to earn an income. 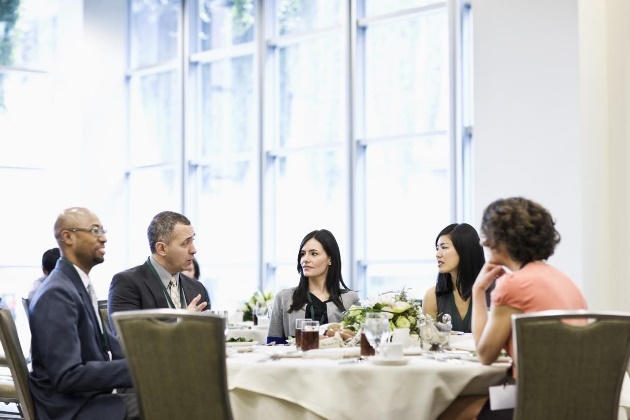 It is important to keep track of information such as the attendees of the event/meal, business topics discussed and any other information that would help you link the expense to business activities. meals provided for working overtime. You should contact a tax professional, if you have any questions regarding this topic or unsure if you can claim some of those entertainment expenses.